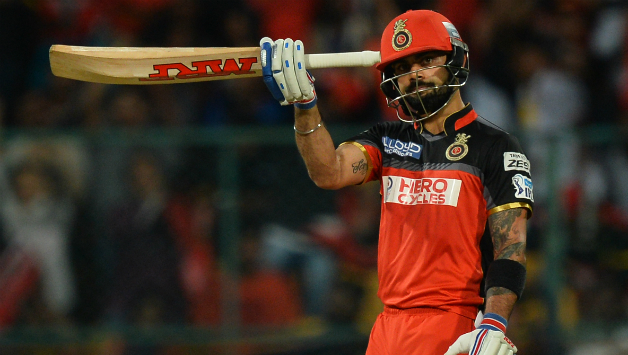 Top 5 batsmen with most runs in IPL history: The Indian Premier League is one of the most popular T20 league in the world. IPL is the best platform for youngsters to prove themselves. Moreover, T20 is mainly for batsmen. In T20 format, batsmen always tries to hit the big shot. It is not easy to score much runs in T20 format because batsmen always tries to hit shots. Sometime, it cost a wicket when they hit mistime shots. There are few batsmen in IPL who never fails to perform and always scores runs. Here are the Top 5 batsmen with most runs in IPL history. Jamaican left-hander Chris Gayle is at the 5th spot in this list. He has played for Kolkata Knight Riders and Royal Challengers Bangalore in the IPL. He has scored 3426 runs in just 92 matches with a best knock of 175* against Pune Warriors India. His average is 43.36 and strike-rate is 153.28. He has 5 hundreds and 20 fifties to his name. Gautam Gambhir, who played for Delhi Daredevils in first few seasons, now leading Kolkata Knight Riders in IPL. He has 12 ducks in IPL but scored 3634 runs in 132 matches with a best score of 93. His average is 30.53 with a strike-rate of 124.15. He has scored 31 fifties in IPL. Indian team opener Rohit Sharma, who leading Mumbai Indians in IPL, has scored 3874 runs in 142 matches. His best score in IPL is 109* against Kolkata Knight Riders at an average of 33.68. He plays with a strike-rate of 131.72 with a century and 29 half-centuries in IPL. The left-hand destructive batsman Suresh Raina now captaining the Gujarat Lions’ franchise. He is one of the player in IPL who never fails to perform. Suresh Raina always scores winning runs for his team. He has played 147 matches and scored 4098 runs with a best score of 100*. His average is 33.59 with a strike-rate of 138.53. He has 1 century and 28 fifties to his name. Indian skipper Virat Kohli is one of the best player in the IPL. He is at top in this list of most runs in IPL. Virat has scored 4110 runs in 139 matches with a high score of 113. His strike-rate is 130.43 at an average of 38.05. He has scored 4 centuries and 26 fifties in IPL.